Welcome to "Coffee Break" The Podcast. 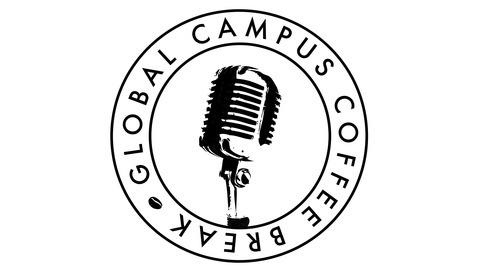 The University of Arkansas’ Global Campus in Rogers is pleased to present this new podcast called Coffee Break. Coffee Break programs will focus on workforce stories while highlighting workforce development in Northwest Arkansas and connections to the University of Arkansas. Each podcast episode will be limited to 15 to 20 minutes, and is designed to accommodate the busy schedules of employees and employers. 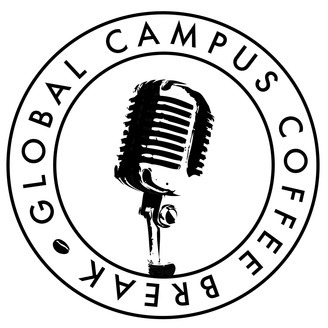 Each episode will end with “The Cup of the Day,” a short message about Global Campus programming, U of A collaborations, and industry partnerships in Northwest Arkansas and beyond. Dr. Loray Mosher, who proposed the project, will broadcast from the new Global Campus studio in collaboration with the IT Readiness Program. The IT Readiness program allows students to earn information technology certificates to qualify them for entry-level jobs in front-end development, back-end development, Java and mobile applications. Send ideas for future podcast topics, guest recommendations and comments to podcast@uark.edu. For more information about workforce development, training and customized courses, or on-site training for businesses it can be found on the Global Campus Rogers website. About the Global Campus: The Global Campus supports U of A colleges and schools in the development and delivery of online, distance and workforce education programs and courses. It provides instructional design services, technology services and assistance with marketing, recruiting and strategic academic development. Tribe of Women's Amy Robinson shares the value of women supporting women. Meet Amy Reeves Robinson, Founder and CEO of Tribe of Women! www.tribeofwomen.com Amy has been a business coach with a focus on women for 15 years in the San Francisco Bay Area and Northwest Arkansas. After coaching women entrepreneurs in Pakistan, she was asked to do a TEDx Talk. Although asked to talk about entrepreneurship and her travels, she could not escape the pull to talk about something more foundational and core to how women will succeed in business and life – together. “I Believe in Tribes of Women” became her talk, and the talk became a calling, a movement, and the organization, Tribe of Women. Now, Amy’s background in everything from legal and banking, to entrepreneurship, strategy, facilitation, and speaking are coming in handy as she navigates the waters of building a company for social good. She hosts the Tribe Talk podcast and travels the country facilitating the vital conversations of Tribe Talk workshops, panels, and groups. Amy believes in tribes of women, and tribes of all types. She stays connected to her community as a volunteer, advocate, board member, and says yes to as many good works as time and sanity will allow. Amy and her husband, Brent, have three clever children, three fur-baby dogs, and live on the the last little acre of a once-upon-a-time strawberry farm in Northwest Arkansas. Episode 17 - Jason Suel shares about adventures in media and the value of fearless engagement. Episode 16: Professor Michael Rhia talks UARK Theater and the connection to Global Campus.